The recovery speed of power data recovery is really fast, however, there are few options, we won’t able to find in the MiniTool power data recovery those offered by its direct competitors but in terms of recovery and interface, the software has done a very good job. There are dozens of best data recovery solutions available online but every solution has some pros and cons. 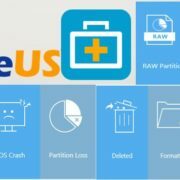 We already have reviewed a couple of free data recovery solutions such as Stellar Phoenix Windows Data Recovery (Review) and EaseUS Data Recovery (review), and this time we going to review MiniTool Power Data Recovery. The MiniTool Power Data Recovery is another popular and free data recovery solution that helps to recover the accidentally deleted pictures, documents, videos or files. This tool not only recovers the data from the drive or partitions but also from the Windows Recycle bin. 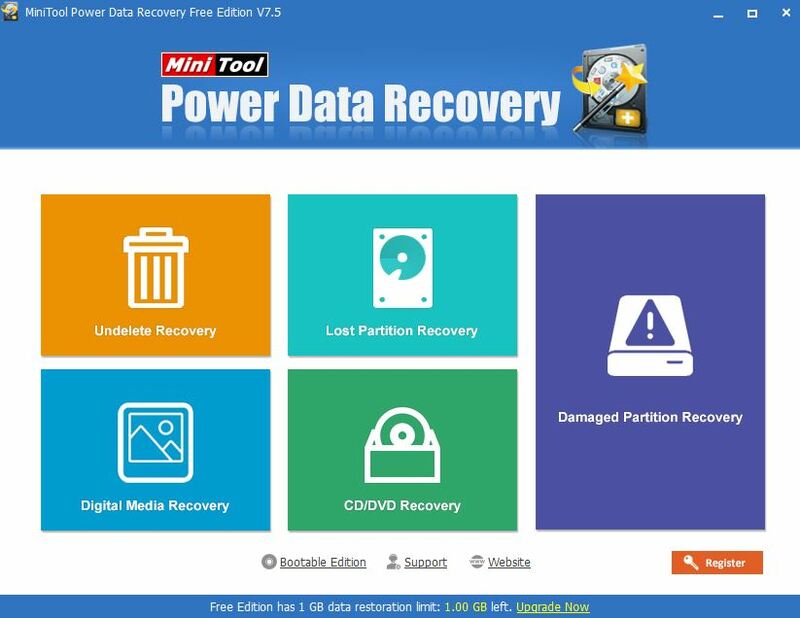 The MiniTool Power Data Recovery software developed by the MiniTool Solutions Ltd. and offers two other editions apart from the free one. Step 1: To install this free data recovery software, go to their website and download it for Windows. Step 2: Once the download is completed, run the software run as administrator and follow the installation steps. 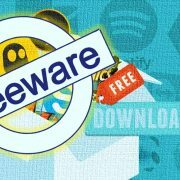 It supports all basic and common filename/extensions to recover such as Word, Excel, Powerpoint, PUB, Docx, Xlsx, ZIP, RAR, CAB, MP3, WAV, AVI, MPG, JPG, GIF, PNG, PSD, TIF, PDF, and SWF. The Interface of MiniTool Power Data Recovery is a little bit like Windows 8 metro style. All the recovery options are given in the forms of tiles on the main screen of the software. 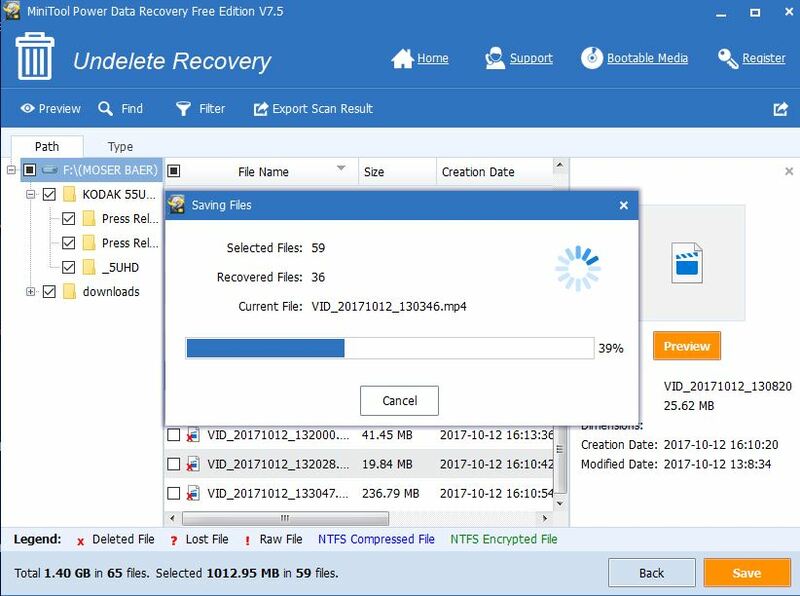 Four recovery options- Undeleted Recovery, Lost Partition Recovery, Digital Media Recovery, CD/DVD recovery are given in the form of square tiles at the left side while the Damaged Partition Recovery present there at the right side under the big rectangular tile. The interface is straightforward and much intuitive as compared other data recovery software we have reviewed so far. Just click on the recovery type you want and the software start the recovery process. 1. Undelete Recovery: This recovery module can be used to recover the deleted files and folders from the drive either deleted accidentally or by viruses. 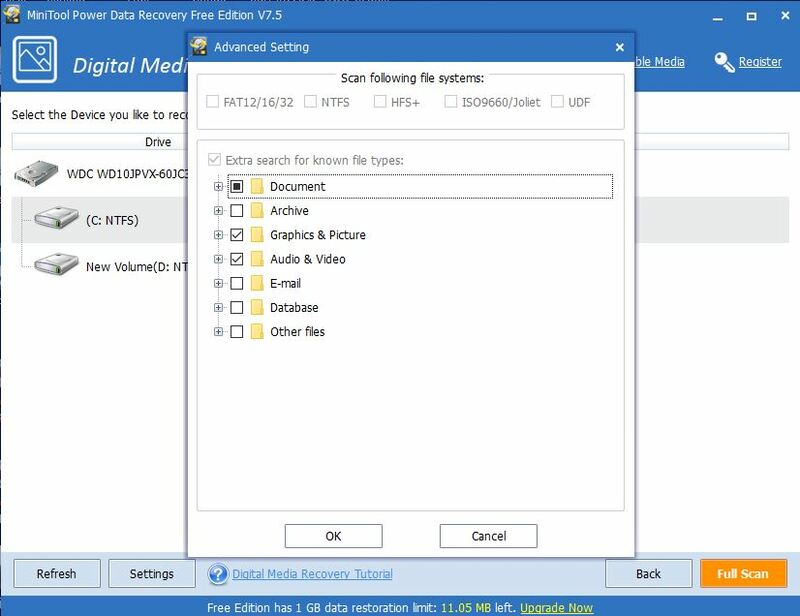 2.Lost Partition Recovery: If you have deleted any partition while installing the windows or deleted accidentally then this option will help to recover the files and folders from that particular partitions. 3. Digital Media Recovery: Particularly to recover the digital media file such as audio files, photos, and video files from the internal or external drive this option proves handy. It becomes easy to recover the filtered media files especially if you have large amount non-media files in a drive. 4. CD/DVD Recovery: Recover deleted files on CD/DVD or recover files from formatted and erased CD/DVD. 5. 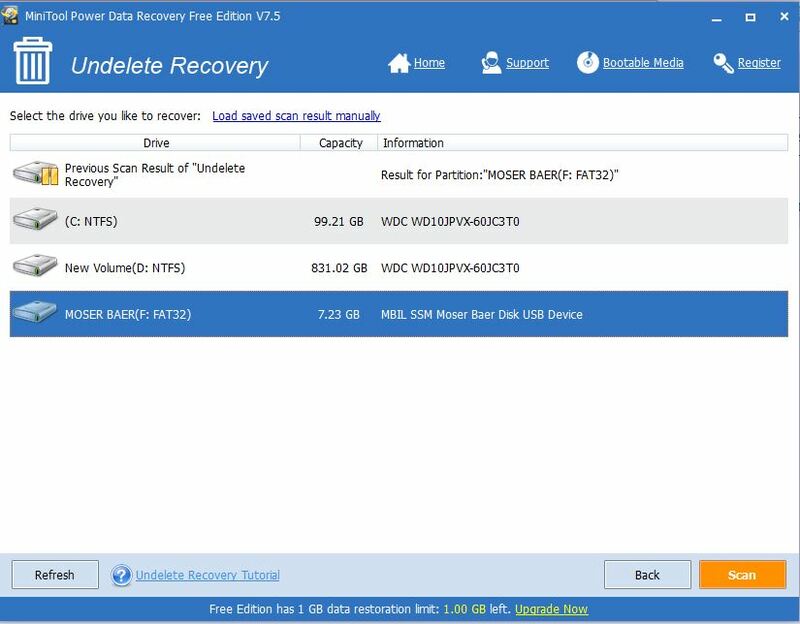 Damaged Partition Recovery: This module is much powerful as compared to the other modules in Power Data Recover as it ables you to recover the data from existing partition for any condition. For example, it is capable of retrieving data from formatted partition, raw partition, and partition Windows ask to format it. Bootable Edition: It is a link that opens automatically in the browser when you click on that. 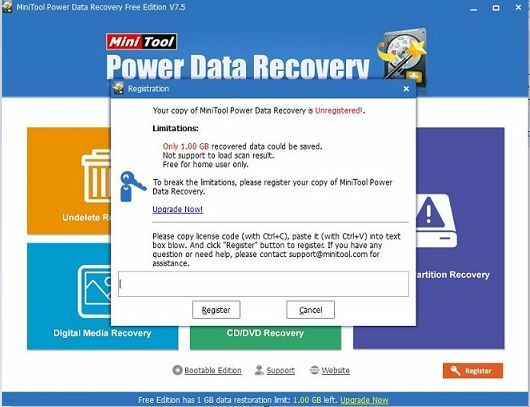 It takes you to the page of a tool called MiniTool Power Data Recovery Bootable. This tools meant to create bootable disks. Support: Another link that opens the Power Data Recovery FAQ, and case studies. Website: Click to visit the official website of Power Data Recovery. Register: As you can see at the bottom of the software it mentioned that the free version is limited to 1GB. It means the free version can only recover the data up to 1GB. After that, if you like the software and want to use it further then you need to upgrade it to use it further. So, to upgrade the software you can use the “Register” button given at the right side bottom. Step 1: Run the MiniTool software and select the appropriate functional module. We selected the undeleted recovery module. Step 2: After selecting the module it will show all the present drives and partitions on your computer system. Select the drive or partition you want to recover. Step 3: After the scan complete, now select the files you want to recover and select a directory where you want to save the recovered files. Step 4: Press the ok button after defining the directory and it will start the recovering the files. 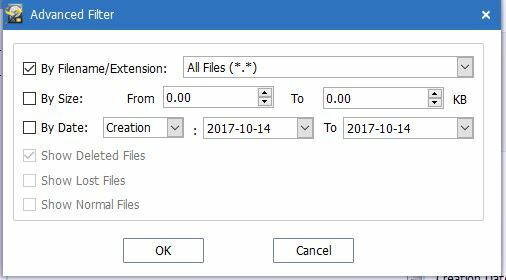 The software also features a filter option that helps to recover only those extension files you need and saves the time. You can filter the data by file name, file size, creating time, and so on. Apart from the Undeleted Recovery, all the other recovery features an advance setting option that can use before scanning for deleted items. It helps to search for a particular file type. For example, you want to recover only Word documents then you can set those criteria before scanning starts. You can also set what type of file system you want to scan in a particular driver. First, we have formatted our 8GB pen drive that has mix data of files, documents, videos around 2 GB. The file system of pen drive was FAT32. 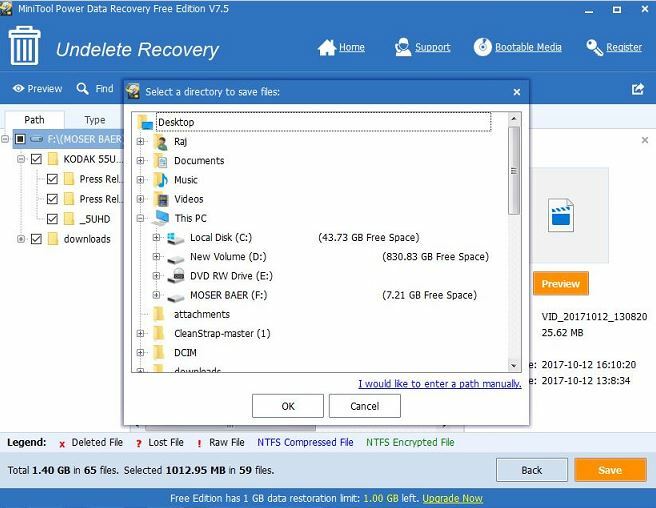 We used this free software to recover our deleted files and folders using the Undeleted recovery module. We successfully able to recover approx 900MB data which include documents, videos, pictures and few other folders. The time it took to recover was around 2 minutes. The usable data the software was able to recover was 80%. The MiniTool power data recovery has no partial scan option that means it automatically scan the drive deeply and in some cases, you might have wait for a long time depending upon the size of recovery. 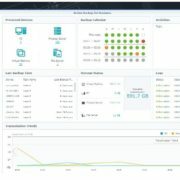 Moreover, in power data recovery, we won’t able scan a particular location or folder just like the EaseUS data recovery software but not in the case of Stellar’s free version. The best thing about the Power Data Recovery is it save the scan result automatically for later recovery which is a kind of pro feature coming in the free version. Also, the scanning is really very fast as compared to EaseUS data recovery. The performance of the software is good and it did recover 70-80% data and the good thing is that it offers recovery of 1GB data in its free version. If you run your eyes balls over the internet there are only a few data recovery software solutions offer 1GB or more than that in their free version. 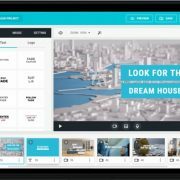 Also, it allows the user to test the capability of their software before investing the money in it. So, if you want to recover more than 1GB, you need to pay $69 for a personal license with unlimited recovery.